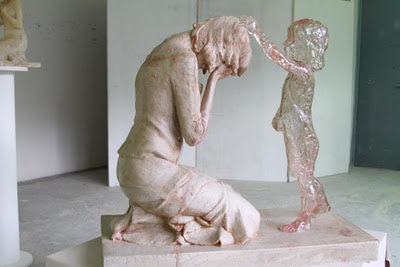 Jeanne Smits reports that a group of young mothers in Slovakia commissioned a statue dedicated to the unborn. According to her blogpost, it was inaugurated in the presence of the Slovak minister of health. It is called "The Child Who was Never Born." It was created by a young sculptor named Martin Hudáčeka. I think we should widely diffuse this picture. It's so iconic.